Listening to music is one of the joys of travel. Those long waits at the airport gate, bus rides that go on for days and overnight train journeys can all become the perfect opportunity to listen to one of humanity’s greatest achievements, but only if you’re packing great earphones. And they’re expensive, right? Not so. NHT’s new SuperBud earphones not only come in a pocket-able circular case, but they;re tangle-free, have a terrifically solid build quality and, most crucially of all, sound fantastic. We’re talking treble detail like you’ve never heard before on earphones costing this little, and certainly enough bass to be competitive with models twice the price. 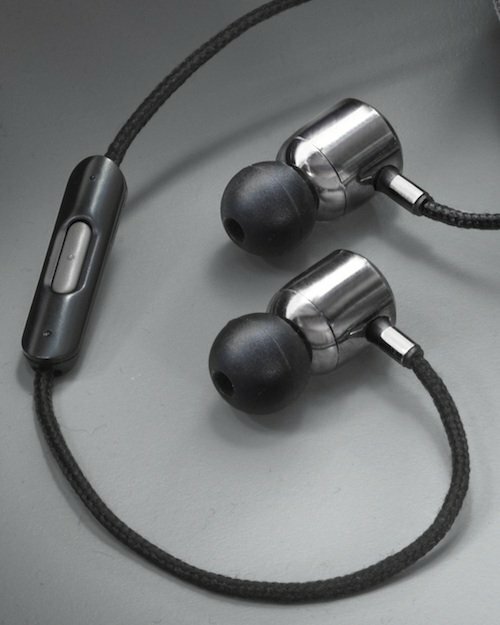 Despite costing just over US$100, build quality is bulletproof; while most throwaway earphones weigh about 15g, NHT’s first-ever clock-in at 24g, with solid aluminium enclosures responsible. They do feel a little odd at first – they’re by far the heaviest earphones we’ve ever tried-out – but we soon got used to it. Besides, that extra weight is worth it. Known for its audiophile-grade loudspeakers, NHT’s first-ever earphones – tested with an iPhone 6 Plus – boast terrific clarity, with treble detail astonishing. Bass is decent, too, with plenty of mid-range. Those dual dynamic drivers do a great job. The choice of earbuds is nothing but extensive. As well as five sizes of latex buds for all sizes of ears, the box has in it packages containing two sizes of Series 200 Comply earphone tips (the kind that high-end earphones tend to come with). When worn these foam buds expand, and do a stunning job of isolating ambient noise. Used on a plane, those Comply tips managed to keep 80 decibels of white noise at bay. OK, so it’s not quite as effective as a pricey pair of Bose noise-cancellers, but it gets pretty near. The build quality is nothing short of brilliant; a solid construction pairs with a soft, woven cable that loops easily and sits neatly in a top pocket without getting too tangled. There’s a pause/play/answer switch in-line that also includes a microphone for hands-free calls; in our test with Siri the iPhone picked-up everything, while a hands-free call was clear and crisp. Those controls all work with Android devices, too. Great noise isolation options, a travel-friendly design and awesome all-round audio quality feature on NHT’s debut earphones. Other earphones have managed a similar performance, but it’s the price – a paltry US$129 – that makes the NHT Superbuds an absolute steal for travel.